CALIFORNIA SAYS GOODBYE TO THE SPRAWLING ORNAMENTAL LAWN | "Global Possibilities"
Californians have been hearing predictions that the ornamental lawn is becoming a thing of the past in the drought-stricken state. New state rules approved this week by the California Water Commission bring those predictions one step closer to reality. Starting December 1, turfgrass and other thirsty plants will be effectively limited to 25 percent of the yard in new residential landscapes of 500 square feet or more and yards of 2,500 square feet or more undergoing renovations that require a permit, plan check or design review. Landscapes of less than 2,500 square feet have the option of complying with a prescriptive checklist to meet the restrictions. Landscape designer Michael Glassman of Davis, California, echoes this sentiment. 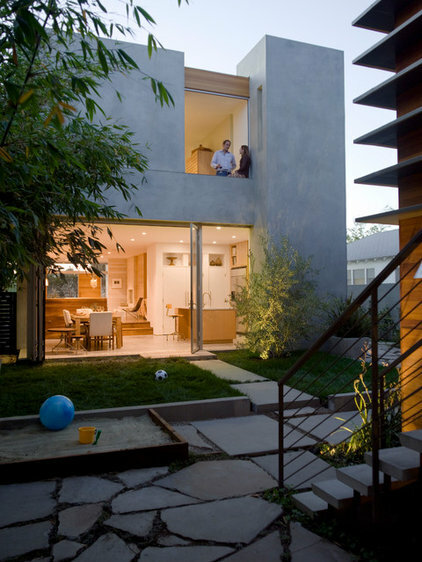 “A lot of my clients are realizing that the front yard doesn’t have to be a throwaway space,” he says. In areas that once would have been prime real estate for lawns, he says, they are adding patios, hardscape and pathways. Glassman thinks more shade trees also should be planted to replace lawn. 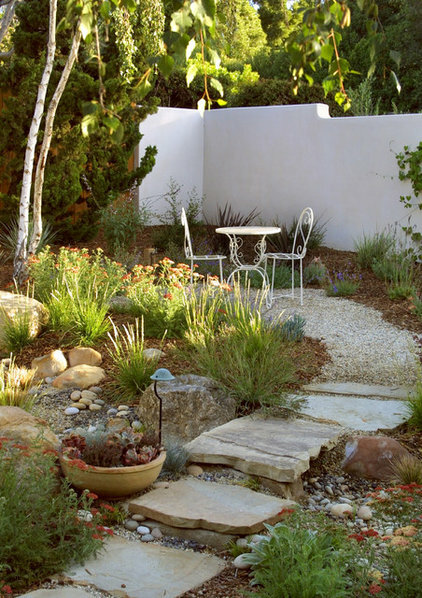 “It’s not just about drought-tolerant plants, it’s about reclaiming the front yard as a functional space,” he says. 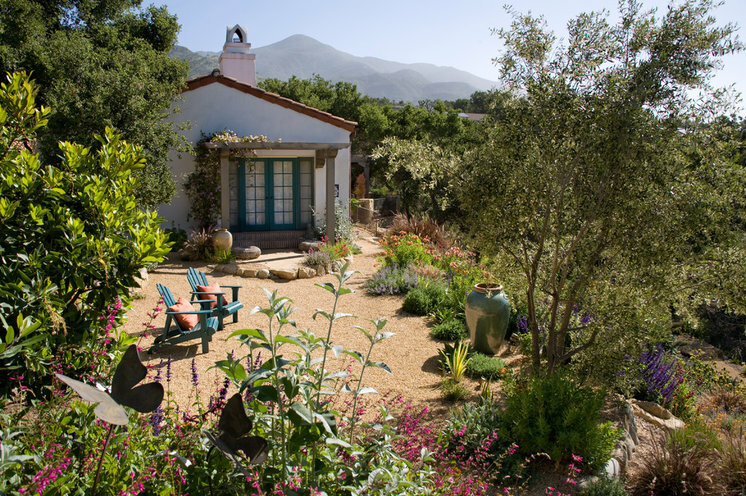 Santa Barbara landscape designer Margie Grace sees opportunities for creativity in the new regulations. “We’re on the cusp of an explosion in landscape innovation. We’ll see new aesthetics emerging, new technologies, practices and methodologies, and the emergence of ecology-based landscaping. This is the kind of shift in mind-set that precedes rapid change on a large scale,” Grace says. “More and more I’m drawn to naturalistic designs — where land form, stone, light are more impactful than the plant material in the overall composition — and to modern, streamlined, simple spaces where plants are used as sculpture,” she says. 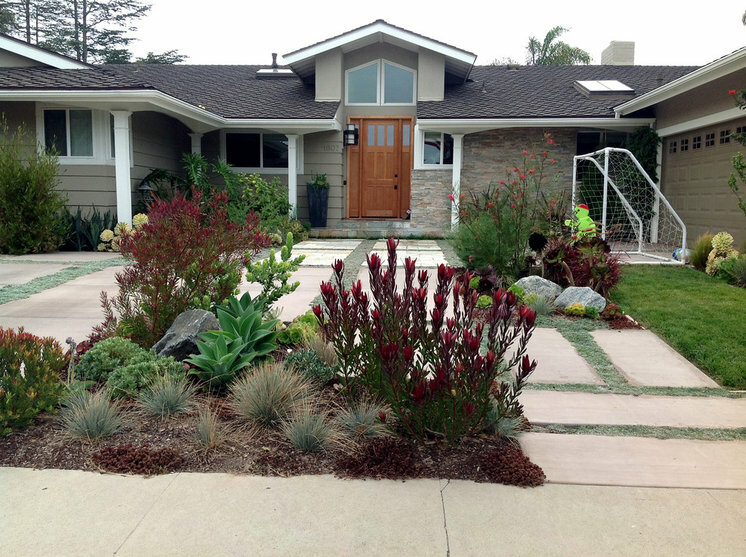 The revisions to California’s Model Water Efficient Landscape Ordinance came in response to an April 1 executive order by Governor Jerry Brown, which instructed regulators to update the ordinance to limit lawn coverage and increase water efficiency. About half of the state’s urban water consumption is used for outdoor irrigation, according to the Water Resources Board. The new rules also apply to commercial landscapes. New lawn may be installed in those only when it will be used for a specific purpose — recreation, picnicking, public gathering — or irrigated with recycled water. Under the revised regulations, each new landscape will have a water allowance that equates to roughly 25 percent cool-season grasses, such as Kentucky bluegrass, or other high-water-use plants. 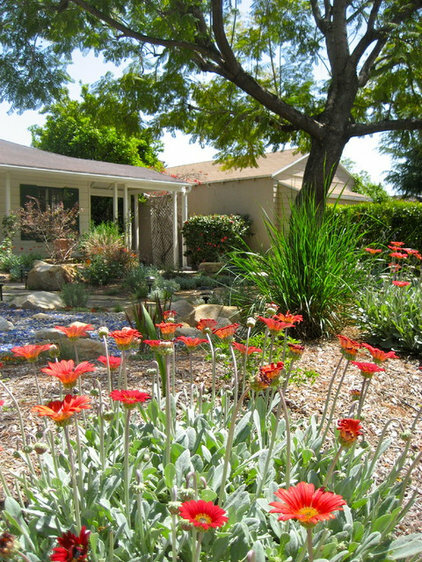 In general terms, the water allowance is a calculation that includes the amount of water plantings use — as defined by the University of California’s Water Use Classification of Landscape Species — and a landscape’s irrigation efficiency. 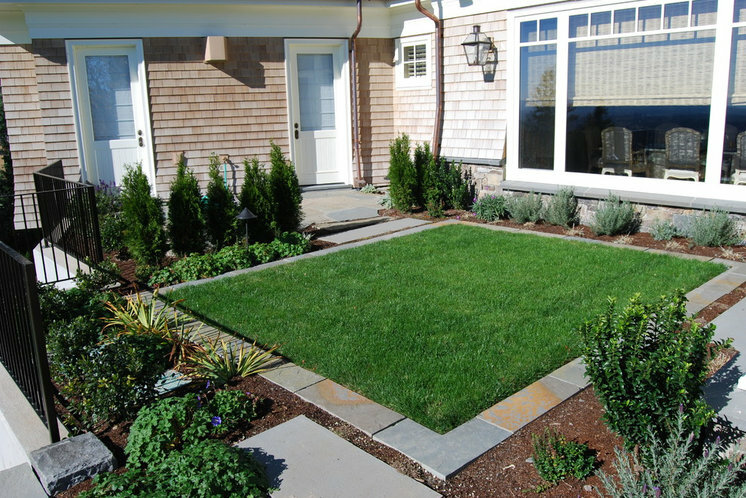 Landscapes of less than 2,500 square feet will have the option of meeting a prescribed checklist of features rather than adhering to a water allowance. 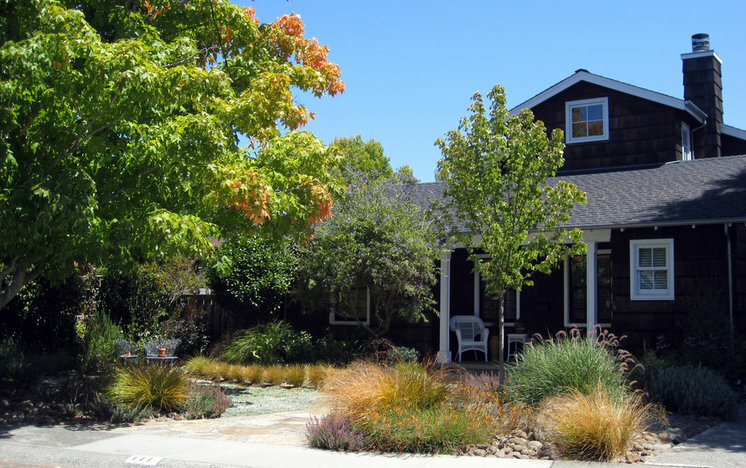 Additionally, landscapes of less than 2,500 square feet watered entirely by greywater or captured rainwater may follow an irrigation checklist rather than be subject to the entire ordinance. 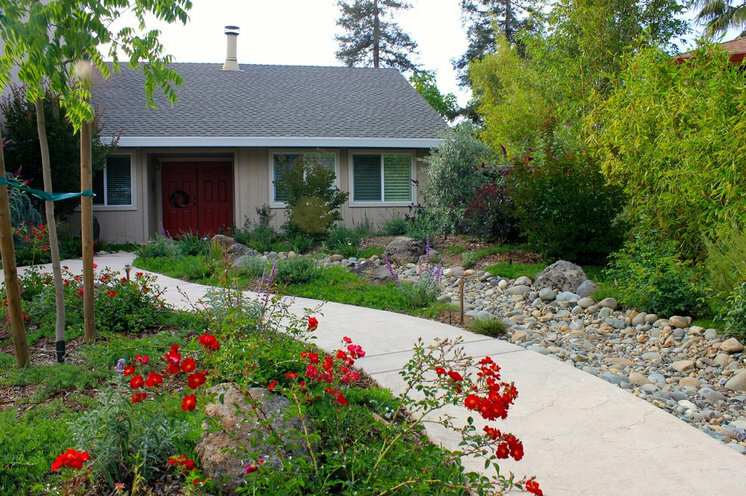 The state water board adjusted the proposal to allow the checklist option after a comment period in which the California Landscape Contractors Association and others voiced concerns that the water-allowance model was too complicated for smaller residential landscapes to follow. The Department of Water Resources expects the new water ordinance to cut water use in California homes by 12,000 gallons a year, or 20 percent, and in commercial landscapes by roughly 35 percent. It anticipates that California will add 472,000 single- and multi-family homes, with 20,000 associate acres of landscape, in the next three years. Officials say it’s important to have these landscape standards in place for future growth. The water commission sees these updates as regulating what has already become a standard in California, as many residents have been reducing their lawns on their own. “The community is saving water, but at the same time they are seeing new developments go in, with the high water use associated with those,” Lake says. 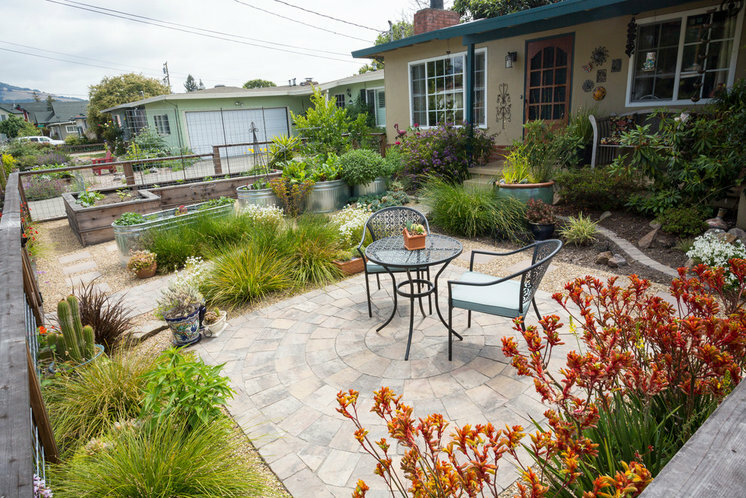 California’s landscape designers have been cutting back on water consumption in their own projects as well. 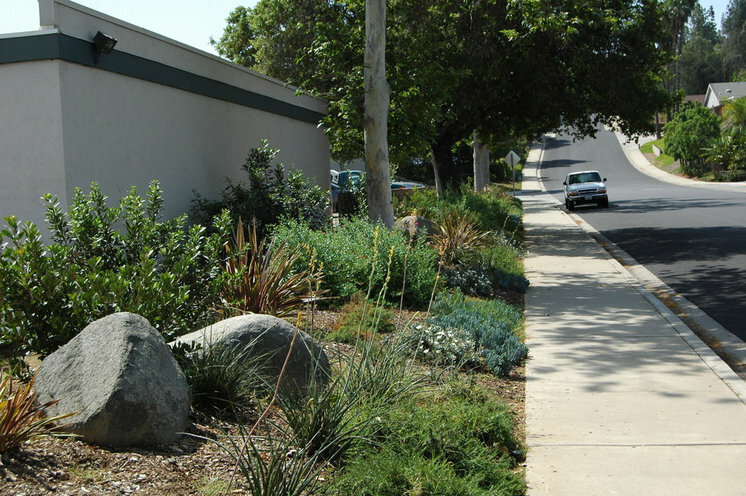 The San Diego chapter of the Association of Landscape Architects distributed a position paper in 2009 outlining and encouraging the adoption of policies and practices relating to water conservation and the value of regionally appropriate landscapes.